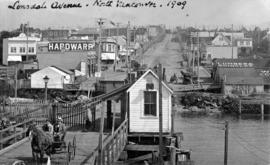 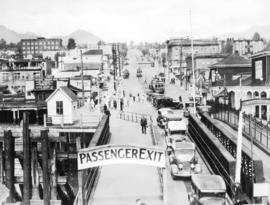 Ferry Wharf North Vancouver, B.C. 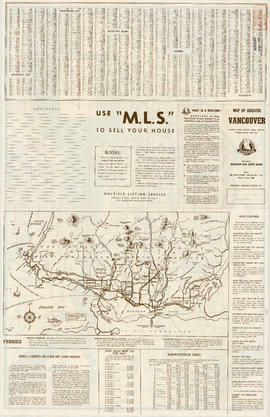 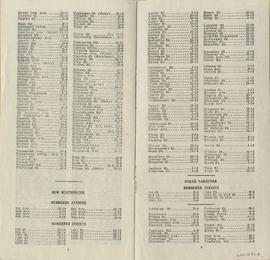 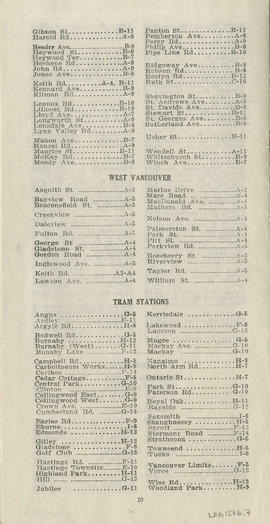 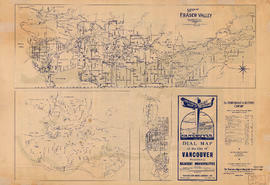 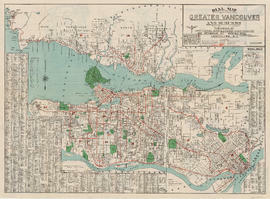 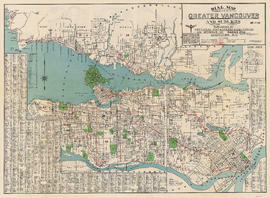 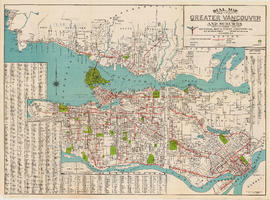 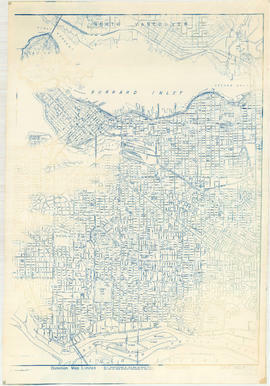 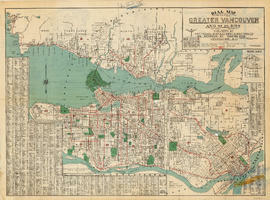 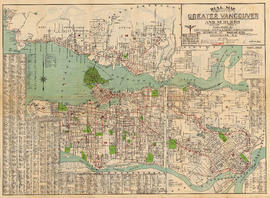 Item is a street map showing Vancouver, Burnaby, New Westminster, West Vancouver, and North Vancouver on one side and Lulu Island and Sea Island, Delta, Surrey, Langley and Maillardville on the other. 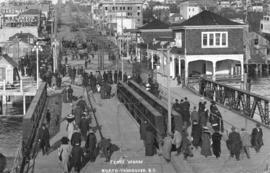 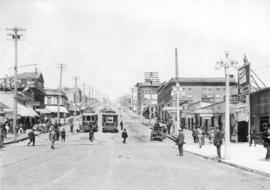 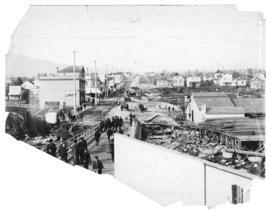 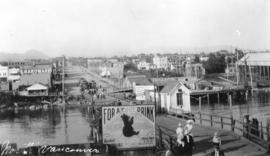 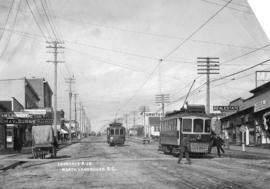 Photograph shows Lonsdale Street, looking north, as well as pedestrians, carriages, and some buildings. 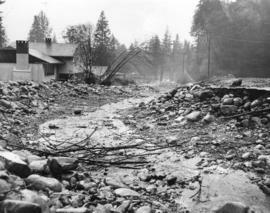 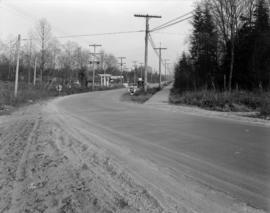 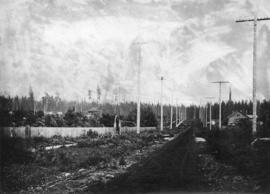 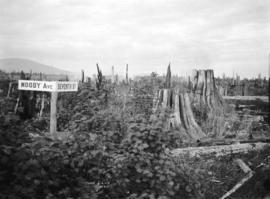 Photograph shows street sign amongst tree stumps in partially cleared land.